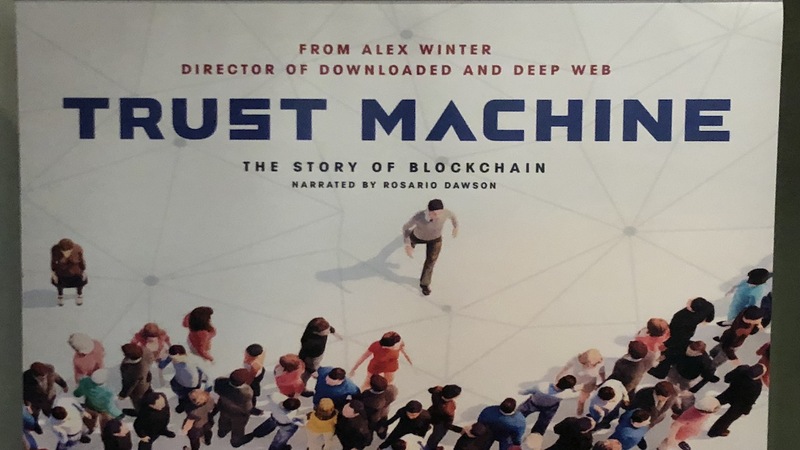 Trust Machine: The Story of Blockchain, a documentary about the Blockchain and Digital Currency movement from Bitcoin’s inception to early 2018, made its West Coast Premiere on Friday at the Laemmle Theater in Santa Monica. The film was introduced by Director Alex Winter and Narrator Rosario Dawson. Produced by SingularDTV and Futurism, with a runtime of 84 minutes, the film does well to balance technical explanations, cultural issues, media commentary, and human interest stories. One story that may be unfamiliar to even the most well-versed on Blockchain, is the story of Lauri Love, a British hacker fighting against US extradition for an alleged data breaches of US government websites. Dawson also has a voting organization she co-founded, VotoLatino, so she mentioned that the topic of Blockchain “has come up often in a lot of conversations in my circles” and how Blockchain can “start making it possible for people to track their votes” — something top of mind with the vote counting situations that have occurred in the Georgia and Florida midterm elections. Trust Machine continues playing at the Laemmle Theater now through Tuesday, November 20th.